The company is a family business Frejus.. The company is a family business Frejus. 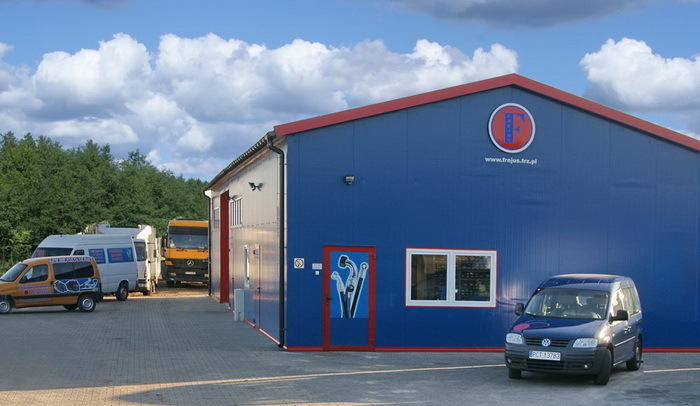 The company is a family business Frejus rapidly growing on the market since 2003, during that time we have gained many satisfied customers throughout the country and abroad. Gained experience, continuous investment in machinery and the constant openness to the growing needs of our market was the reason for taking the production of hydraulic machinery and agricultural vehicles, forestry machinery, trucks, excavators and cranes, we also regenerate hydraulic cylinders. Observing constantly changing situation on the market, the company continues to introduce a new range of sales, so that the client can choose from spare parts, agricultural machinery and use the service run with us. We work with many well-known domestic and foreign producers involved in machinery and spare parts from the agricultural sector and beyond. We hope that you will benefit from the services of our company and our co-operation will be satisfactory.